Gatliff Heating And Air, Inc.
Beasley's Heating, Cooling and Refrigeration, Inc. Comment: Need to move my air intake 6 feet to a different closet to allow renovation. Comment: It is time for a maintenance check. 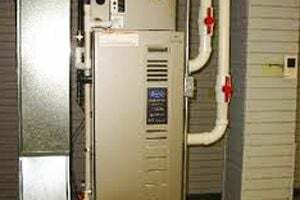 The unit is combined Gas heat and electric air unit. It was purchased in 2010 due to the floor. The inside of the house was completely rebuilt to including electricity, HAVC. Comment: I want radiant heat in the ceiling inspected and preventive maintenance. Alpha Omega Heating & Air Conditioning Co.
Nashville Heating & Furnace Contractors are rated 4.72 out of 5 based on 1,446 reviews of 38 pros. Not Looking for Heating & Furnace Systems Contractors in Nashville, TN?